Davening begins at 8:30 am. 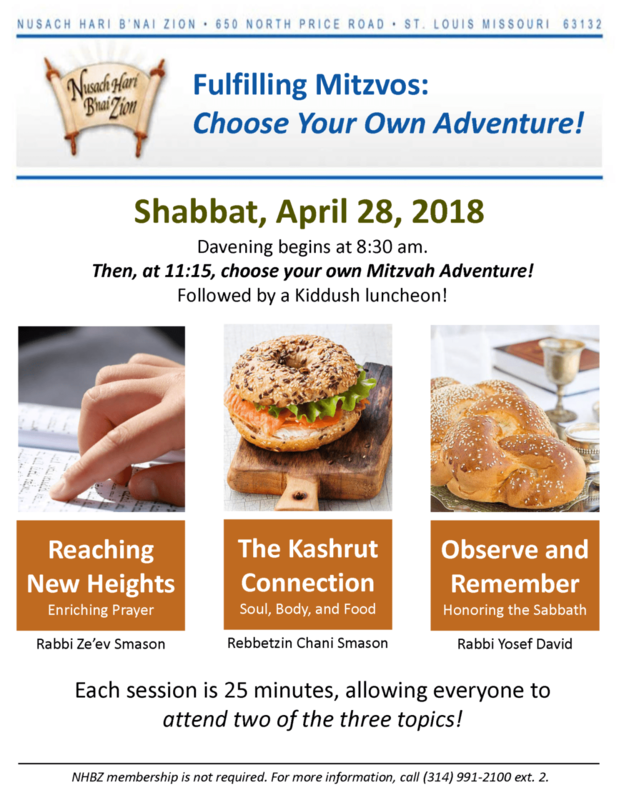 Then, at 11:15, choose your own Mitzvah Adventure! Followed by a Kiddush luncheon! Each session is 25 minutes, allowing everyone to attend two of the three topics!